ASAP was proud to be one of 6,000 communities across the nation taking part in Lights On After School. The 13th annual Lights On After School was held October 18 and featured more than 1 million Americans rallying for after school programs. Dozens of ASAP programs participated in Lights On After School, hosting programs, such as pumpkin carving, board games, science experiments, fall festivals, arts and crafts, and much more! Click here to see photos from St. Louis The King, Mullanphy Elementary, Bryan Hill Elementary, Ashland Elementary, St. Frances Cabrini Academy, Sherman Elementary, Peabody Elementary, and Froebel Elementary! This fall, ASAP in St. Louis will join 7,500 communities and one million Americans to celebrate Lights On Afterschool, a nationwide event held on October 18, to rally support for afterschool programs. Afterschool programs keep kids safe, help working families and inspire learning. 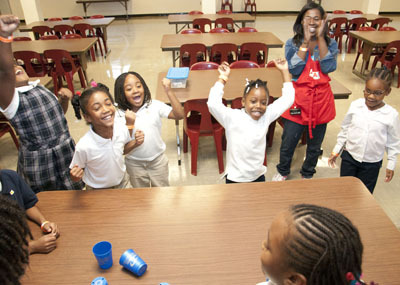 ASAP provides free afterschool programming to more than 3,000 area youth. Watch for future stories and photo galleries showcasing ASAP’s Lights On Afterschool events. Back to school time is in full swing, and making sure students have appropriate after school care is critical to a student's success. In order to get a full picture of student outcomes this past school year, ARCHS surveyed students, their parents, their day school teachers, and after school providers. More than 80% of the youth reported improvements in the areas of academic support and enrichment (81.12%), health and recreation (85.33%), social and life skills (81.79%), and character development (81.92%). In addition, the survey showed re-administration reliability, meaning that the test results were consistent each time they were given. ARCHS also surveyed parents in December (702) and in April (660) to measure parental perceptions of the after school program and of their children's participation. 94.4% of parents believed that the after school program produced better school day learning and behavior. 95.4% of the parents believed that the after school program offered an opportunity to discuss their child’s behavior. At the end of the school year, ARCHS surveyed the day school teachers (269) and the after school provider staff (129) to get a picture of how the after school program affected the school day performance and behaviors of the student. 95.6% of the after school staff reported an increase in school day learning and behavior. 83.5% of the day school teachers reported better classroom behavior. 90.3% of the day school teachers reported an increase in educational outcomes for the after school students. The After School for All Partnership (ASAP) and its partners are pleased to announce it will be honored on May 3 with "What's Right With The Region (WRWR)" award from FOCUS St. Louis. The 15th annual regional celebration recognizes success stories from the Greater St. Louis area. ASAP is receiving the award for its work in increasing access to, and the quality of, after school programs for more than 4,000 students each year. ARCHS, St. Louis for Kids, Saint Louis Public Schools, after school program providers, and a unique blend of public and private funders have strategically worked together since ASAP was created in 2007. At the request of the State of Missouri Department of Social Services, ARCHS is partnering with the Riverview Gardens School District to bring added services to students and families. First, ARCHS will be bringing added after school ASAP programs to the district this spring. 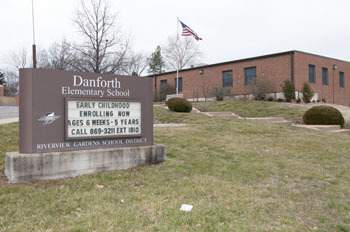 An ASAP after school program will be provided for up to 48 students at Danforth Elementary School. In addition, ARCHS will also be providing Kids Vision for Life (KVFL) services to five schools within the district. KVFL is a partnership with Essilor Vision Foundation, Inc. and Crown Vision Center that provides free eye screenings to children in grades K-6, then provides free eye examinations to students who fail the screening, and provides free eye glasses to students who need them after completing the eye examination.